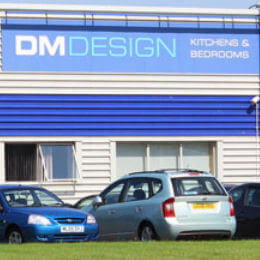 DM Design claims to be one of “Scotland’s leading providers of kitchens, bedrooms and bathrooms”. An important aspect of this case, like many others before it, is that DM Design Bedrooms Ltd first came to the attention of the ICO as far back as April 2017. They were first contacted in October 2017 and it’s 13 months later in November 2018 that a fine was issued. That means the investigation dragged on for over a year. That’s quite typical. The company received 79 complaints during a 6 month period from April 2017 to September 2017 with an addition 20 being received by the ICO. The complaints were blamed on a data supplier and whilst that might sound credible, it’s simply not. If you pay any attention to the fines issued by the ICO you’ll know full well that blaming a supplier for supplying data that you were told was ok to call or was screened is on you, period. DM Design Ltd operate their own TPS licence, they just didn’t keep it updated. DM Design were a client of DXI, which is an entirely different story which we’ll deal with at a later date. Businesses should focus on what they’re good at, and for DM Design that’s selling bedrooms, bathrooms and kitchens. They should’ve left the TPS screening to the experts. DXI provided the ICO with details on DM Designs calls and CLI’s which indicated that DM Design had contacted 1,661,607 numbers registered with the TPS. “All of the issues identified by the ICO could so easily have been avoided. Not screening against the TPS is daft. Failing to run a DNC process is plain crazy as those are the most likely people to make a complaint about your business to the likes of the ICO. And please, for goodness sake, stop taking data supplier assurances about being able to call numbers registered on the TPS. Understand for yourself when you can or cannot call people registered with the TPS.